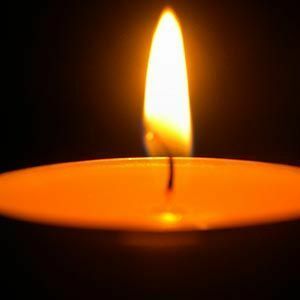 John Kelly Dejanovich, 74, passed on Tuesday, January 15, 2019 at cousin Judy Thomas's home after a long struggle with a terminal illness. John was in hospice care for 6 months and died peacefully in his sleep. A private family service will be scheduled at a later date at Graceland Cemetery in Mayville. John leaves behind two sons, Andrei and Yanko, and a daughter, Nicole. John was born January 6, 1944 in Jacksonville, Arkansas. John lived in Japan from 1956 to 1958, then attended Mayville High School and Superior East High School, graduating from Mayville High School in June of 1962. In July of 1963 John volunteered for the U.S.A.F. During his 4 year tour John spent 14 months in the Republic of Korea attached to the U.S. Army as an air assault forward observer at bases in the demilitarized zone, and also spent time at 3 different Strategic Air Command bomber bases. He spent the final year of his service at Strategic Air Command Headquarters in Omaha, Nebraska. After being Honorably Discharged from the Air Force, John attended the University of Wisconsin Oshkosh for about 4 years. In 1972 John moved to Arkansas and began a 42 year career in the car industry. John enjoyed restoring old automobiles. Add your thoughts, prayers or a condolence to John K.'s guestbook.